They are beautiful. 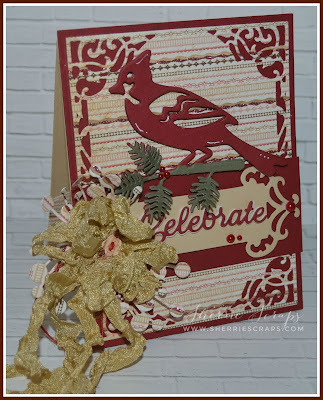 Love the paper, color and die. Well done my friend. Soooooooooo gorgeous! LOVING the colors!!!!!!!!!!!!!! What a gorgeous set of cards Sherrie!!! Love the rustic feel to it. Thank you for the inspiration. 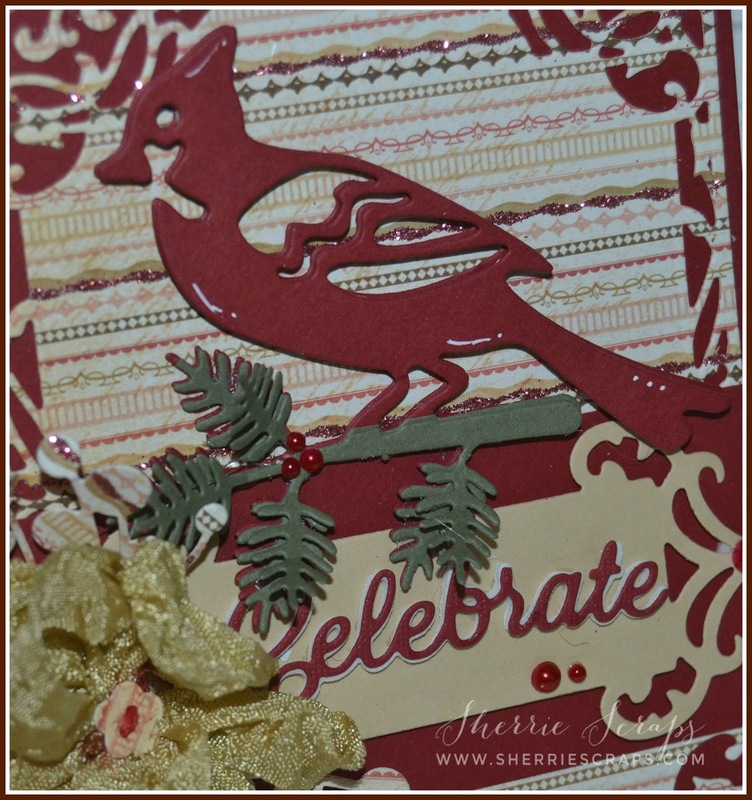 Sherrie, your cards are lovely! I adore cardinals, so these are really special to me! The gold bows look so elegant! Hugs! Love your beautiful Cardinal cards! 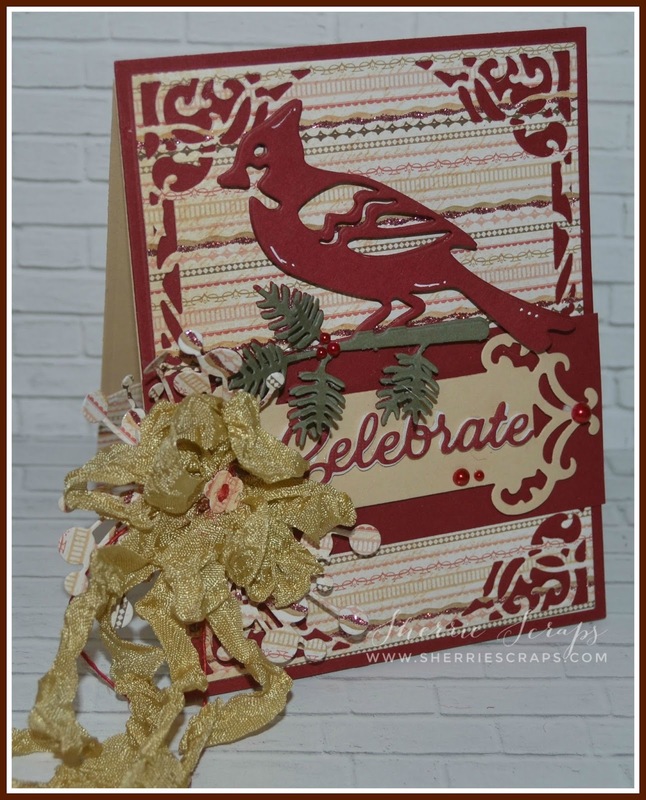 That gold ribbon adds a perfect touch to your gorgeous cards! Gorgeous! 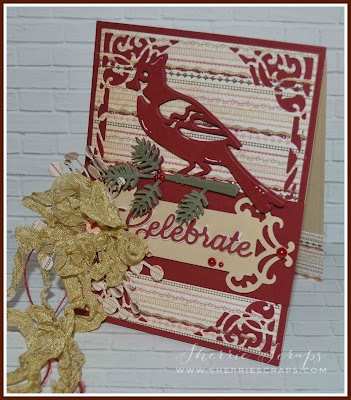 I love this cardinal and your design! This card is so lovely and elegant! Wow ! I love the little pinecones . These are so gorgeous, Sherrie!! I love how you've showcased the cardinals!! The papers are beautiful!! Adding the berries to the branch is a perfect touch!! Simply stunning, dear friend!! I love, love them!! And thank you for playing along at DL.ART!! 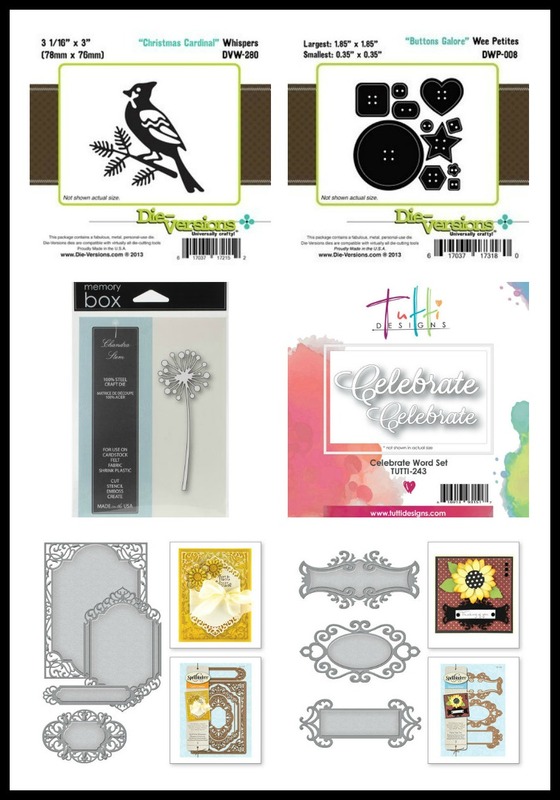 Oh my Sherrie, Beautiful Cards, I would love to camp out in your craft room for about a week and play with all of your goodies. That would be a blast! Ha!!! 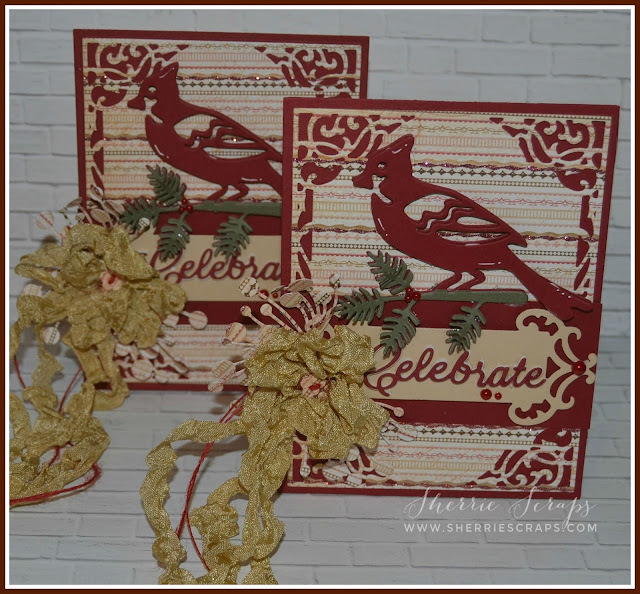 Your cards turned out SO beautifully, Sherrie. Thanks so much for stopping by to share your talents with us. It's such a blessing to have you play along. have a great week, and please join us again soon. Love this cardinal ! Great design ! Lovely card Sherrie! I have that same background paper. Wow Sherrie these cards are beautiful! I love the bow and the dies you used are perfect! Beautiful cards! I love the cardinal die and the buttons galore die! Those papers are absolutely gorgeous! Such pretty ribbons too! This is so stunning Sherrie. I love the red with the color ribbon you chose. perfect for this season. Your design and the products you chose all go so well together. This is such a lovely card Sherri!! The cardinal is a beautiful diecut! Very Elegant cards! The cardinal is so pretty and I love the beautiful ribbon. oooooohhhhhhh....these are beautiful! What gorgeous cards, very, very elegant. That die is really stunning and I love the deep red you used. Simply gorgeous!